The Canon 5D mk IV is the long awaiting upgrade to the 5D mk III. It seeks to be an all around powerhouse with many new features for stills and video. This review will focus on the video features of the 5D mk IV. The ability to shoot 4K at 24/30 fps, 1080p at 60fps, and 720p at 120fps is a welcomed addition to the 5D line of cameras. The Dual Pixel servo autofocus in video mode is a DSLR game changer, the first of its kind in the 5D family and second in the Canon family. Having servo AF and the ability to track focus on a moving subject is a much-anticipated upgrade from the 5D mk III. The 5D mk IV also shoots in 4:2:2 color space, allowing for greater latitude in color correction compared to the 5D mk III. The ISO settings did not increase much, but the quality of the higher ISOs is a noticeable improvement. The 5D mk IV also boasts HDR filming in 1080p, which allows the camera to reduce highlight and shadow clipping, achieving a higher dynamic range when filming. Overall, the advancements in video mode coupled with the 30 megapixel sensor for stills makes this an awesome upgrade from the 5D mk III. 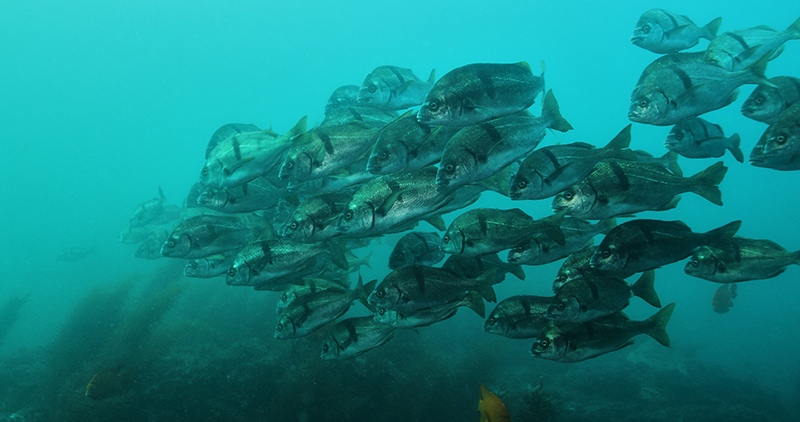 Be sure to also read our complete Canon 5D Mk IV Review for underwater still photography. The most important and significant upgrade to the 5D mk IV is the Dual-Pixel Autofocus that allows continuous focusing while recording! This upgrade makes the 5D mk IV the first full frame DSLR with continual focus. Movie servo AF options include; Face Detection with tracking, FlexiZone Mulit, and FlexiZone Single. Even with a dive mask on, the face detection will work underwater, though it does not work on animals. I recommend using the face detection option or the FlexiZone Multi, because the camera will focus on the dominant subject in the frame and continually track focus. The FlexiZone Single will only focus on what is in the white square on the screen. The performance of the focusing is smooth and fast. You can even change the speed of the focusing in FlexiZone mode, allowing for more creative control. With the ability to quickly track focus while recording, the shooter can now take full advantage of a situation and let the camera roll while the AF tracks with the subject. 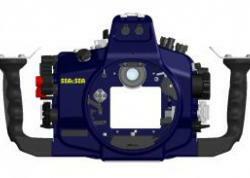 5D mk IV Dual Pixel Auto Focus from Mike Raabe. This is far superior to manually focusing and having to continually change the lens focal distance for different subjects. But there are still circumstances where manual focus is better to use. One example is when there are multiple subjects sporadically moving about the frame. I was diving a sea lion rookery and had multiple babies zooming in and out of the frame and as a result, the autofocus had a tough time deciding which sea lion to focus on. This is due to the changing focal distances of the multiple sea lions in front of the camera. In hindsight, I should have turned the AF off in this situation and manually set a desired focal length for that shot. 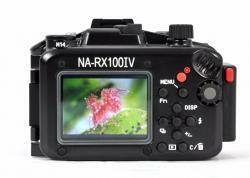 Overall, the Dual Pixel autofocus is an exciting advancement in filming with DSLRs and has great potential to create dynamic camera movements that previously could not be achieved with manual focus. The 5D Mark IV's 4K video capability redefines the image quality of the 5D family of cameras. The detail, color, and dynamic range are far superior to what the 5D mk III could achieve at 1080p. The 5D mk IV shoots 4K video in Motion JPEG codec at 500 mbps, creating color and sharpness previously unattainable with the 5D mk III. There is some Ying and Yang regarding this codec, however. 4K footage will require the fastest CF cards on the market. They also need to be the largest, since 1 minute of footage is 4 GB of data. There is both a CF and SD card slot in the camera, but unfortunately, shooting 4k video to an SD card is not recommended. The 5D mk IV utilizes a slower UHS-I SD slot that doesn’t allow SD cards to write at their maximum potential, which is unfortunate since that speed is needed for the 500 mbps data rate when recording at 4K. There has been much speculation about why Canon chose to use the outdated Motion JPEG codec, since it results in giant file sizes compared to competitors, but what the codec does have on its side is image quality. The latitude and sharpness in the files is impressive. You can even frame grab 8.8MP jpegs from the 4K footage. Another advantage the 5D mk IV has over the 5D mk III is the latitude in the file for color correction. Whether its highlights, noise in the shadows, or the overall tone, the 5D mk IV outshines its predecessor in all aspects. The camera shoots in 4:2:2 color space, allowing for exposure and color control that the 5D mk III was not capable of achieving in post production. If you are grading film I recommend downloading the Cinestyle picture style from Technicolor. This will render a flat image with greater detail in the highlights and shadows. You can later edit with greater detail and contrast than the standard picture styles that the camera has in the menu. Another feature the 5D mk IV has is HDR filming. You can only shoot in HDR mode in 1080p at 30/24 fps but the extra detail in shadows and highlights is a welcomed addition to the 5D mk IV arsenal for underwater shooters. 5D mk IV HDR Movie Shooting Mode from Mike Raabe. The 4k footage is shot in a slightly wider Cinema 4K format that measures 4096x2160 pixels, so you will have to crop the sides of the frame to fit the typical output of 16:9. Taking a 1:1 pixel crop directly from the center of the sensor makes the 4K video frame. Doing this reduces scaling artifacts, but also means there is 1.64x crop! The crop is definitely a hurdle the 5D mk IV has to jump over in regards to full frame shooters who want full lens coverage (for example, your 16mm lens will deliver a field of view of 26.2mm). This can be viewed as a disadvantage or an advantage depending on your style of shooting. Macro shooters will certainly appreciate the crop because you will achieve the same shallow depth of field as full frame, but with a 1.64 magnification. Wide-angle shooters will have to plan ahead and anticipate what they are shooting. For example, if you plan to shoot stills and motion with a wide-angle lens on the same dive, you will have to take the crop factor into consideration when shooting video. A zoom lens like Canon’s 8-15mm fisheye could be a fix for the ultra wide shots, while the Canon 16-35mm could work for medium to wide shots. That said, even at 16mm you are only getting a 26mm frame. The framing adjustment between 4K video and still shots will take some adjustments for the user, but the overall image quality is worth the headache. The Canon 5D Mark IV ISO settings are 100 to 32,000 (100-12,800 in 4K) and expandable from 50 to 102,400. These numbers are slightly higher than the 5D mk III, but the quality of the higher ISO is definitely a jump up. At 1250 ISO, noise begins to be seen in smooth color gradients, although it's very minimal. At 3200, noise can be seen in the shadows but still looks great. At 6400 ISO, the noise is definitely not ideal, but with some noise reduction and consideration of the lighting environment (dusk or at night), the footage is much better than what the 5D mk III could achieve. ISOs of 12,800 and above are not really useable. 5D mk IV ISO Test from Mike Raabe. The dynamic range is also impressive jump up from the 5D mk III, as the 5D mk IV is more capable of dealing with high contrast scenes in camera, requiring less manipulation during post-processing. Highlight clipping was a problem for the 5D mk III, where in the 5D mk IV there is a significant improvement (especially in still photos). 5D mk IV Dynamic Range Test and Comparison to the 5D mk III from Mike Raabe. The 5D mk IV also shoots 60 fps at 1080 and 120 fps at 720, albeit I wish it shot 120 fps at 1080 like the Canon 1DX Mk II. 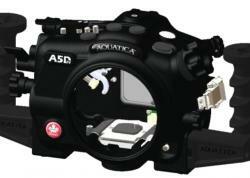 But the addition slow motion frame rates in the 5D Mark 4 is a big improvement for underwater shooters. Now those fleeting moments of a shark or whale that showed up for 10 seconds can be slowed down and made into a smooth (twice as long in duration) edit of an encounter that has much more impact on the viewer! Slow motion is a great editing tool and should inspire more creativity with this addition to the 5D family. Please note that autofocus does not work when shooting 120 fps at 720p. Overall, the Canon 5D mk IV brings some exciting new features to the table that will allow filmmakers to achieve shots that could not previously be captured with the 5D mk III or even some of its other competitors. The best example is the dual-pixel autofocus, which delivers reliable autofocus while shooting video. If you are considering upgrading from the 5D mk III, one should also weigh in the fact that you can use your 5D mk III housing! 5D Mark IV 4K Video Sample from Mike Raabe. Mike Raabe is a freelance underwater cinematographer and photographer specializing in marine life and sports media. He has shot for a variety of clients including Nike, Neutrogena, ESPN the Magazine, Men’s Health, Guy Harvey Magazine, and many more. Mike prefers shooting while free diving because of the numerous camera movements and close interactions with marine life that can not be achieved while scuba diving. He can free dive to 40 meters, and has a bottom time of up to 2 1/2 minutes.